The tubes can either float or we sink them. I choose to cover them separately because they are not tied onto hooks. Their use is increasing especially in the salt. 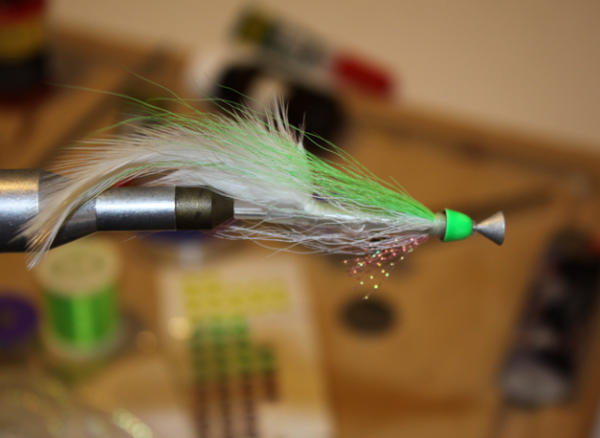 A tube fly is a special type of a fly where you tie directly onto the tube itself. The tube can be made of a light plastic or heavy brass and everything in between. 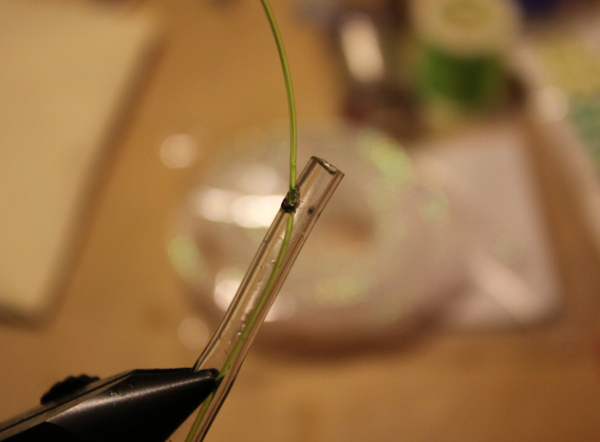 The leader is then threaded through the tube and the hook is tied on. 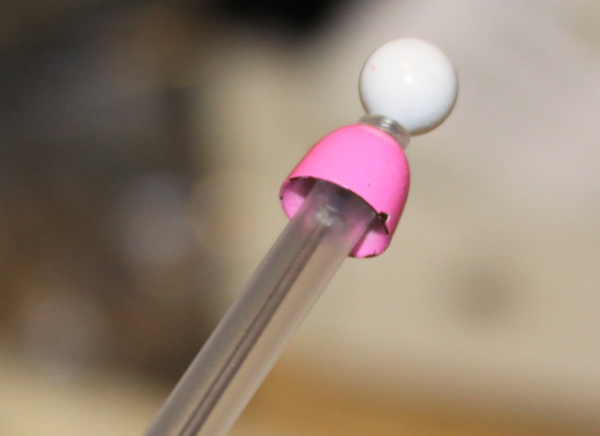 We customarily have a small silicone tube at the end as a hook holder, but it is not critical. The tube usually slides up the leader after a fish is hooked. Thus they are more durable than classical flies. 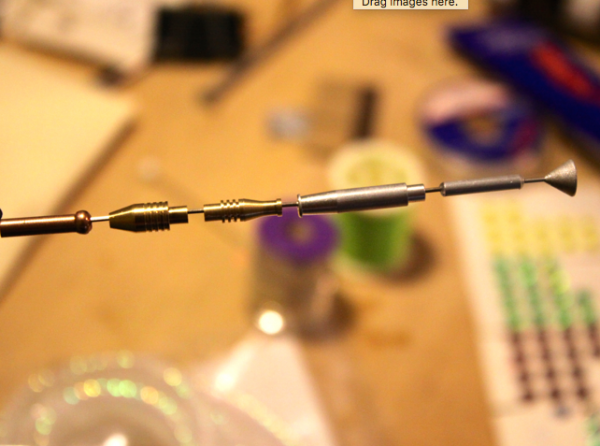 They range from so called micro tubes to several inches long brass tubes. The tubes used can be made of plastic, aluminum and brass lined with plastic. Brass tubes understandably do sink well. 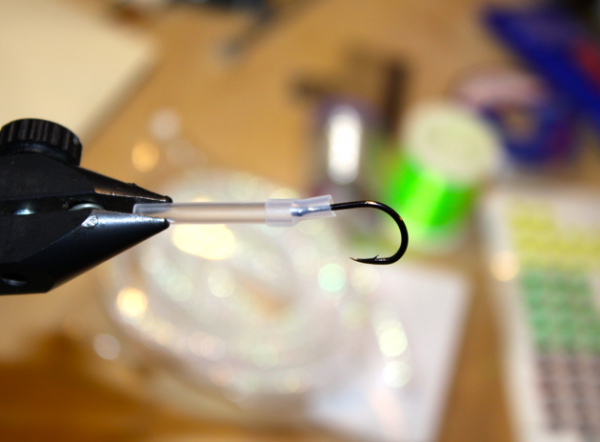 The tube separates easily from the hook after a fish is hooked and ride up the leader. 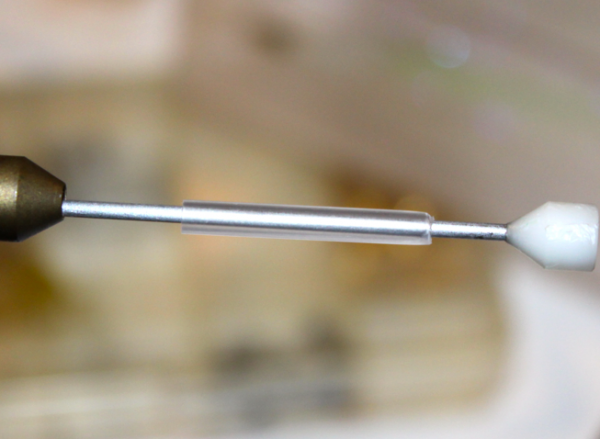 Micro tubes are not fashioned this way but we stick the knot into the tube. We can put eyes or cones onto the tubes to weigh them. When using tubes the size of the hook is optional. It is best to use hooks with short shanks. Short shank moves less (shorter lever) when a fish is played. A version of a dry fly is the so called hitch tube used extensively when salmon fishing. For a hitch tube we use a plastic tube. Then we burn a hole in the side wall in the forward part of the tube. The leader is threaded into the side hole and out through the end as usual. Then we tie the hook to the leader. We use this hitch tube by casting over the stream to the opposite bank. When the flow catches the line it drags the fly in the surface where it leaves a V shape as it travels to our bank again. The line must be kept taut. When a salmon attacks such a fly it is hair raising and unforgettable since you can see it on the surface. Trout will also attack hitch tubes. Tube flies are especially practical in the salt. The sea water corrodes the hooks and they will rust and a rusted fly is no good. This does not apply to tube flies since the hooks are separate. You can also vary the size of the hooks depending on the circumstances. 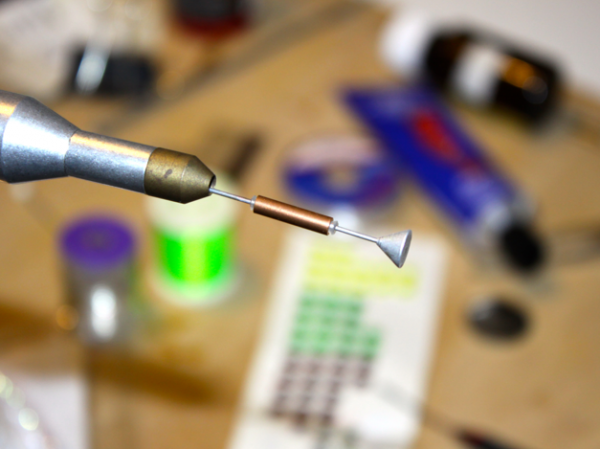 It is easy to fashion a long and light tube with a short shank hook that is much lighter than corresponding traditional fly because of the weight in the shank. This type of fly is much easier to cast. Very big hooks furthermore are harder to set than smaller sharper ones.